Japan Tech Leaders Summit is an invite-only conference for corporate decision makers and deep tech startup founders. The summit is an international event that brings together English speaking, internationally minded Japanese corporates and startups with foreign companies to build new business opportunities. The event will be held entirely in English. The main program will start slightly earlier, at 13:00. Please arrive at 13:00 (panels begin at 13:30). The summit is an international, exclusive, invitation-only event that brings together international and Japanese innovators and investors who are ready to partner to build the next disruptive deep tech businesses. The event will be held entirely in English. Japan Tech Leaders is an invitation-only group of internationally-focused, bilingual executives from Japanʼs top tech startups and corporate innovators. The group is organized by local investors with strong relationships to both foreign and local corporations & startups, and aim to create win-win situations between Japan and the world. 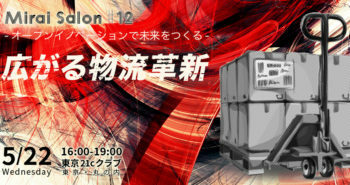 ・13:50-14:10 Group Discussion "What will be the most important business change in Japan in the next 10 years?" ・14:10-14:15 Summary presentations from each group. Takayuki SUMITA took his current position in July 2017. Since then, he is responsible for nation-wide IP strategy, including national branding and promotion. He is now focusing on IP strategy in the new era of AI, Big data, bloc chain. 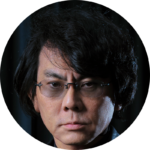 He was born in 1962, graduated from Tokyo University (1985) and Graduate School for Foreign Service, Georgetown University (1993). After joining MITI (currently METI, Ministry of Economy, Trade and Industry) in 1985, he engaged in various tasks including industrial policy planning and trade negotiation, especially on intellectual property, innovation, IT, and FTA. In 1990s, he took the lead on introducing stock option mechanism in Japan as well as tax merit for angels. During his work in Brussels as Executive Director for JMC office during 2009-13, he participated in the EU innovation project ‘FP7’ as an examiner for application to grant. Since 2016, he also works as a board member of FCAJ (Future Center Alliance Japan). Joined Rakuten Inc in 2006 after working at Accenture. 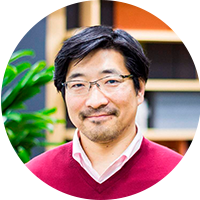 In his current positions of Rakuten Executive Officer and Global Head of Rakuten Institute of Technology, Mori is in charge of institutes in four countries around the world, integrating research and development. 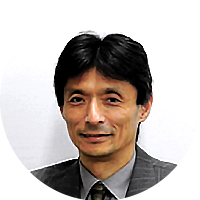 Director of the Database Society of Japan, Executive Member of Nikkei IT Innovators, and Executive Member of the Japan Institute of Information Technology. In 2013 Mori was selected as one of “40 Prodigies” by the Nikkei Sangyo Shimbun newspaper. 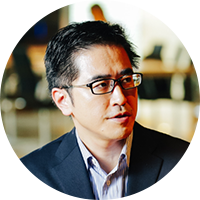 He has authored books including [The Complete Cloud Computing] (co-authored, Nikkei BP) and [massive change in the web – the start of a power shift] (Kindai-Sales Co). Mr. Khajvandi is Co-Founder and COO of Mobius Network, a technology company connecting the existing Internet to the blockchain economy. Mobius closed one of the most successful token sales of Q4 2017 and 2018, selling out of the MOBI token with $39M in revenue. 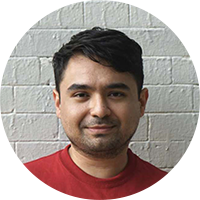 Previously, he founded Incentru, an online B2B marketplace for used industrial capital assets. He began his career as a researcher at Stanford University’s Institute for Stem Cell Biology & Regenerative Medicine. 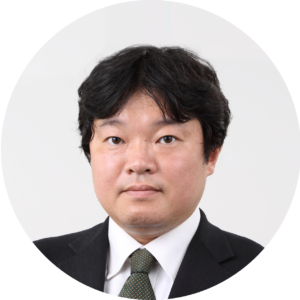 2016, he appointed as convener of Japanese mirror committee of ISO/TC307 to promote ISO standardization of Blockchain and Distributed Ledger Technologies. Participated international business management program at Queen’s University and worked and trained in Panasonic Canada and US, after joining Panasonic Corp (then Matsushita Electric). Executed marketing communications for audio/video and digital imaging products, including launching of Lumix digital camera and DVD recorder. Product placement and short films, tie-ups with Hollywood studios and music companies created buzz then. Managed sport sponsorship contract including IOC and Organizing Committees of Olympic Games from 2004, technology operations and executing marketing strategy and communications. 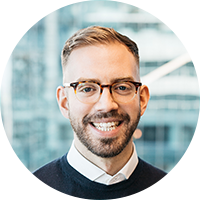 Stephen is a technology entrepreneur having founded and exited business in the e-commerce and on-demand transport space. More recently, he was Entrepreneur in residence at a leading Family Office and adviser at Private Equity house Resolve Capital. Investment/M&A/partnerships/innovation heads from local and overseas corporations with immediate needs for collaboration with startups. Startup CEOs with sought-after technologies from Japan and abroad that are perfect candidates to match corporate needs, and younger technical founders with potential to build the next disruptive deep tech startups. First held in August 2017 with 80 key decision makers in AI from Japan, Asia, and Europe, attendees discussed the latest thinking in creating AI businesses. 2018 Spring will explore “Industry 5.0”. Japan has historically been strong in AI and Robotics, and demand for blockchain technologies is growing exponentially. But supply has not kept up with the demand from innovation hungry corporates. Industry 5.0 covers Japanʼs emerging influence in global deep-tech and the inevitability of global collaboration. Organizer: Japan Tech Leaders, addlight Inc.